Been quiet for a while……. I’ve definitely been quiet for a while now and have posted very few recipes on my blog. Last August, we made the decision to move permanently from the mainland to our beloved Isle of Wight and we put things in motion to sell our home in Camberley. Strangely enough, the first consideration was our tortoise, Tolly. He is almost my age (rising 70) and hibernates underground every year, emerging late February bleary eyed to welcome a new Spring. I’ve had him for over 40 years so he really is a member of our family. Our problem was that if he started to hibernate early, we would never find him as he goes so deep that we cannot dig him out. 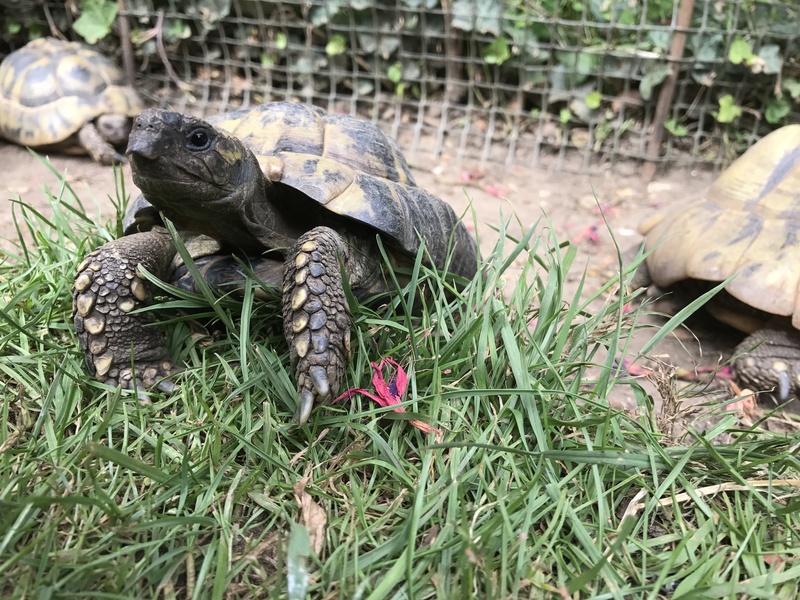 This was solved almost immediately when we realised two of our friends already had 22 tortoises and they would never notice one more! Tolly must have thought he had died and gone to heaven when he arrived at his new home late August. He straight away shoved all the males out of the way and had his way with most of the ladies. We won’t need to worry about him having to hibernate in a large wooden crate as I think he will sleep his way through winter. They say moving house is one of the top stressors of all time so we decided to try and reduce this a bit by selling our house in Camberley and moving into our friend’s “shed” before trying to find a new home! 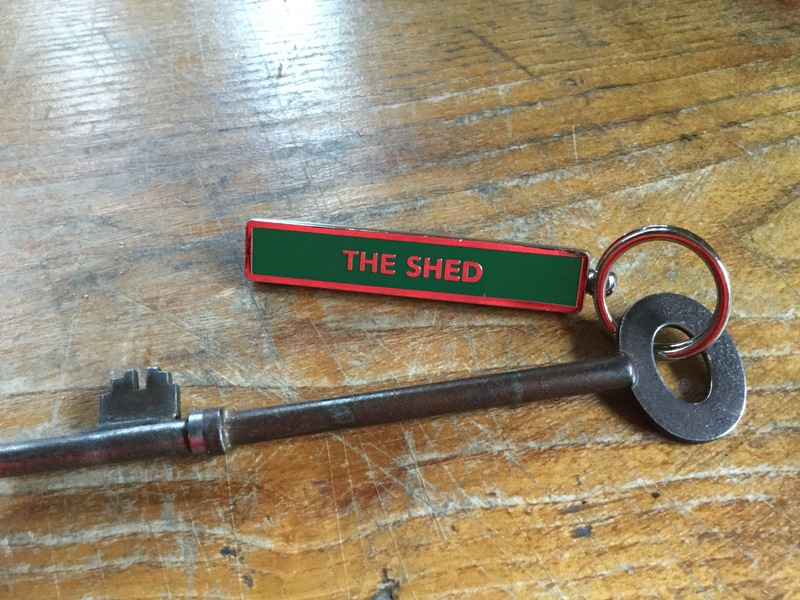 It really is called The Shed but it is so warm and comfortable and snug that it is great. 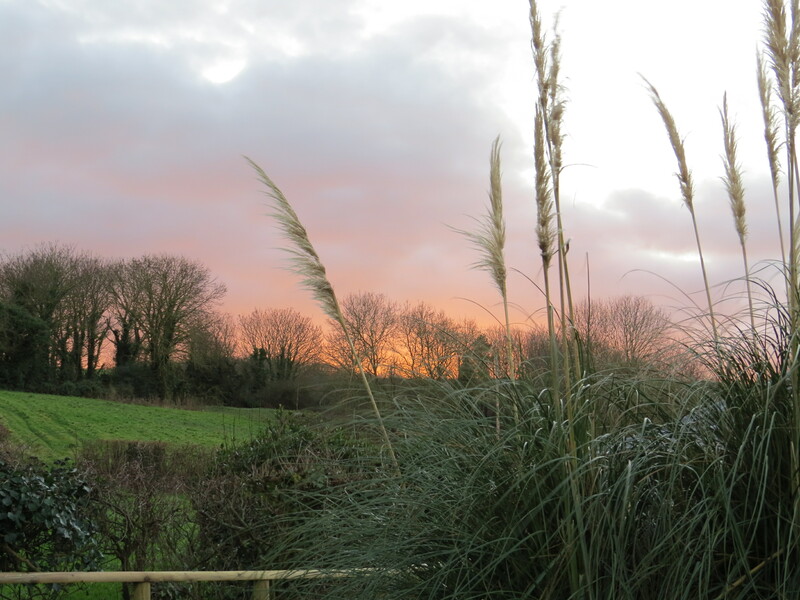 Not only does it have beautiful views, but a lovely log burner to keep us warm on cold days. 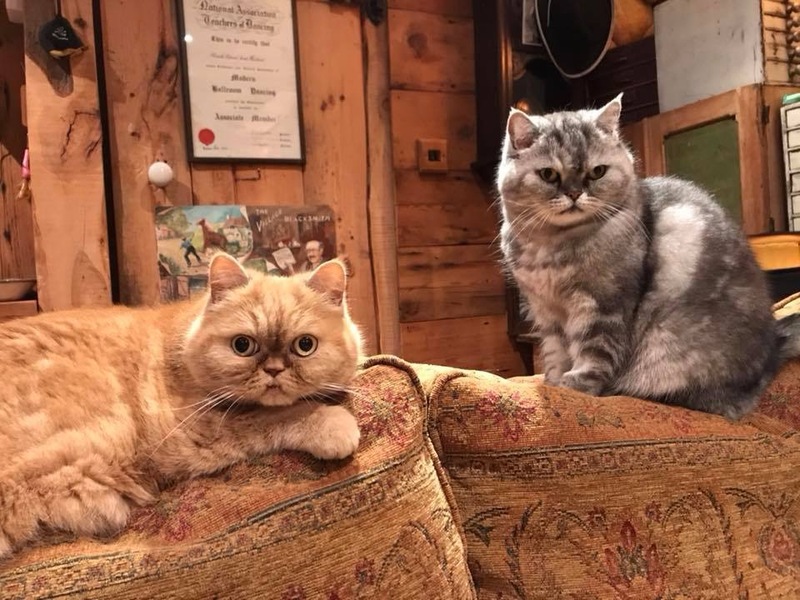 Our two cats settled in immediately and straight away told the resident 4 cats (through the windows) that the shed was ‘theirs’ and totally off limits for the duration of their stay. To see this huge black cat called Freddy backing away from the window whilst my tiny little fur ball Mishka stands with her front feet on the glass is quite hilarious. Unfortunately with the majority of my furniture in storage, I have a very limited range of cooking utensils, pots and pans so I’m keeping my cooking to tried and trusted favourite meals and delicious salads. I did manage to cook an enormous Ham at Christmas with the most delicious glaze of cranberry and orange but it took over an hour to come to a simmer! Tasted great though once boiled and roasted and didn’t last long when shared with friends. We are in the process of buying a beautiful new home just five miles from where we are staying and only ten minutes walk from a little village and sandy beach. Unfortunately the process of buying or selling a property in this country always seems to take forever but we hope to be moved in for Spring. Our new home has a walled garden and has raised beds which will be ideal for my new collection of fresh herbs. I can’t wait. I have so many recipes waiting to be tried out; five new cookbooks all of which look amazing and I hope to be back up and cooking new things in the not too distant future and sharing them with all of you. This entry was posted in Biography and tagged Biography, Moving Home. Bookmark the permalink. 3 Responses to Been quiet for a while……. Thank you Cathy. I am so looking forward to this next chapter in our lives.